The Tennessee Titans got off to a 4-0 start for the first time in franchise history as they defeated the Minnesota Vikings 30-17 on Sunday at Nashville's LP Field. Minnesota Vikings running back Adrian Peterson (28) gets away from Tennessee Titans defenders to score a touchdown in the second quarter. 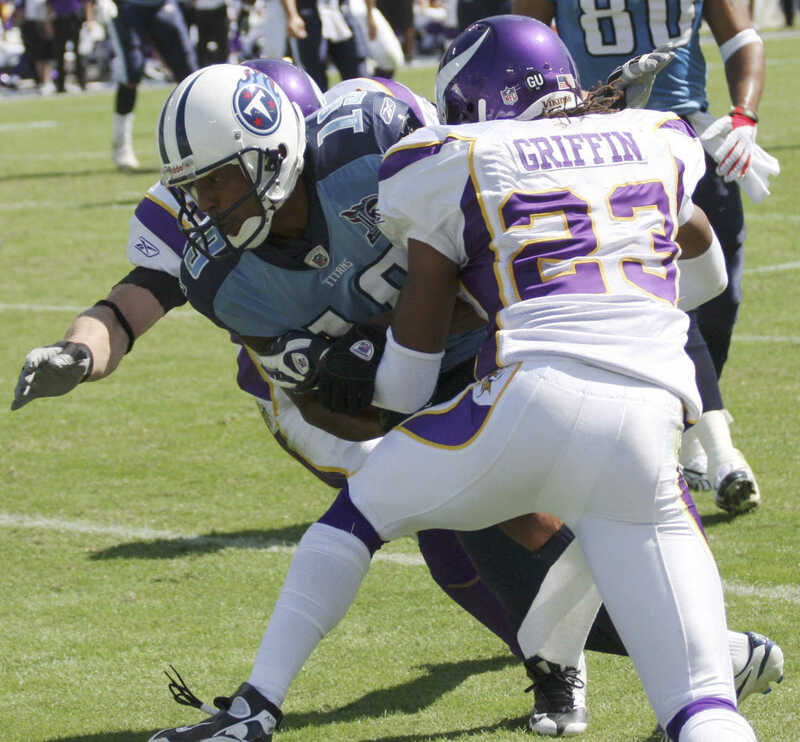 Tennessee Titans wide receiver Justin McCareins is tackled by Minnesota Vikings defenders after hauling in a catch in the first quarter. 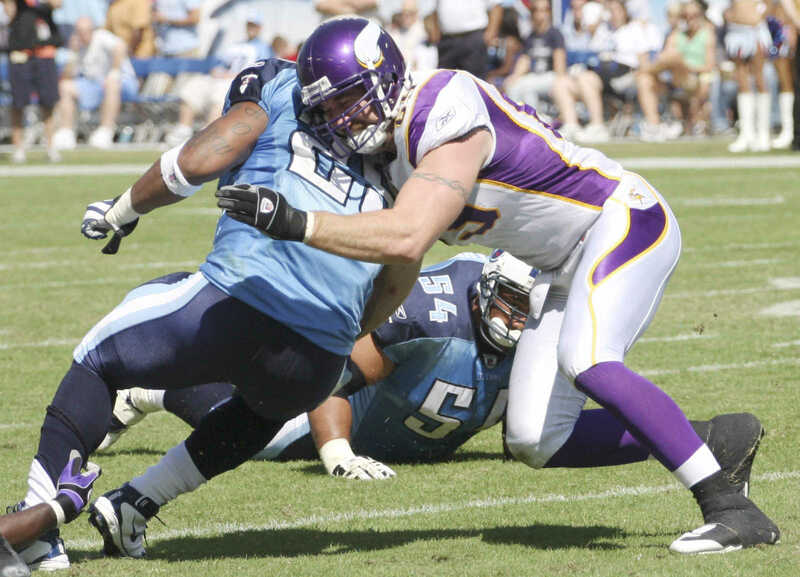 Minnesota Vikings defensive end Jared Allen wraps up Tennessee Titans running back LenDale White. 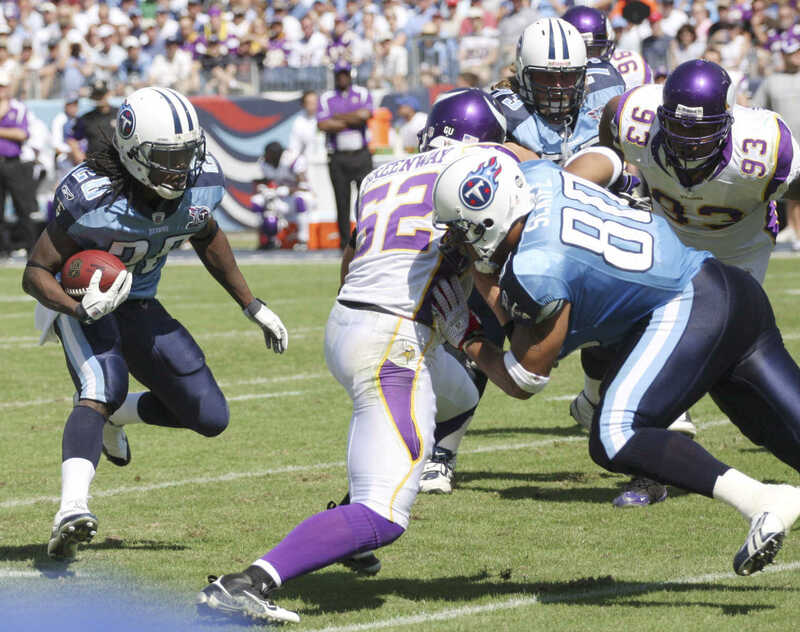 Tennessee Titans running back Chris Johnson (left) looks to run behind blocking. 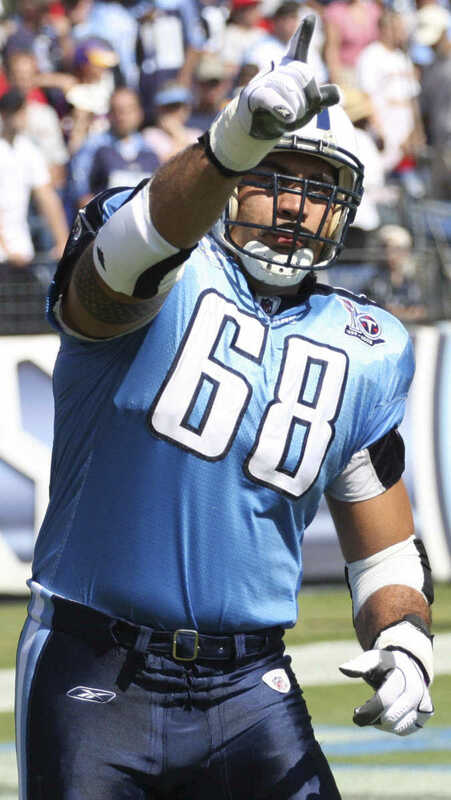 Tennessee Titans center Kevin Mawae points skyward as he is introduced before Sunday's game. A Tennessee Titans fan holds up a sign rooting on the team's defense before Sunday's game. 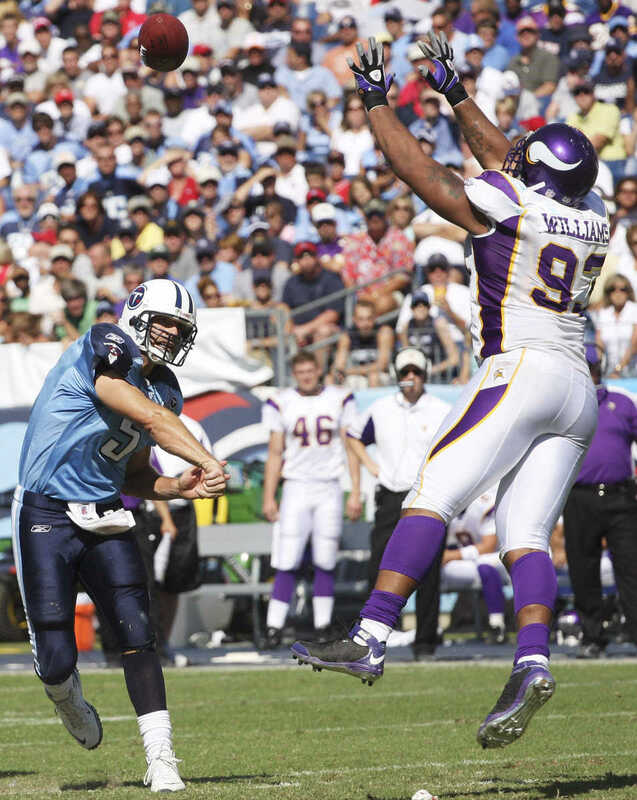 Minnesota Vikings defensive end Kevin Williams (93) jumps up to try to deflect a pass by Tennessee Titans quarterback Kerry Collins. 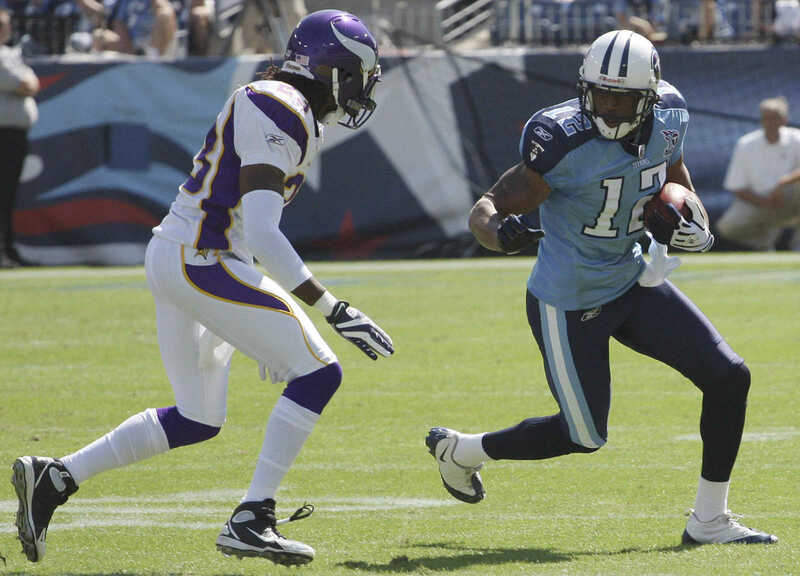 Tennessee Titans wide receiver Justin Gage (right) tries to elude a Minnesota Vikings defender after making a catch. 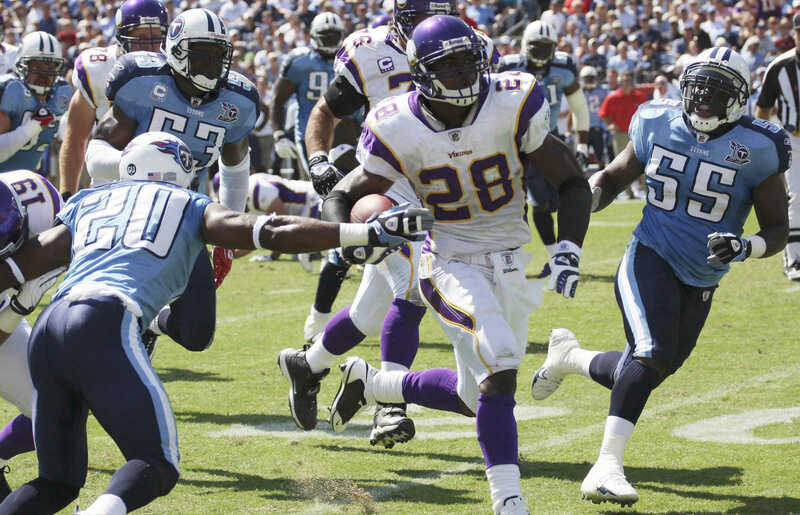 Minnesota Vikings running back Adrian Peterson (28) is tackled by Tennessee Titans linebacker Keith Bulluck.